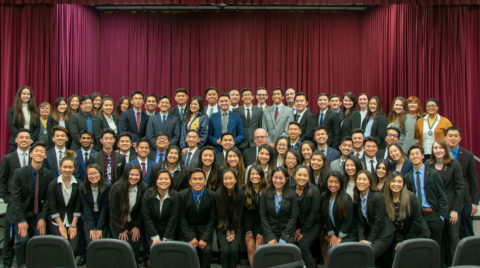 INDIANAPOLIS (March 15, 2019) – Alpha Kappa Psi installed its newest chapter, Chi Beta, at California State University, Fullerton on March 2, 2019. 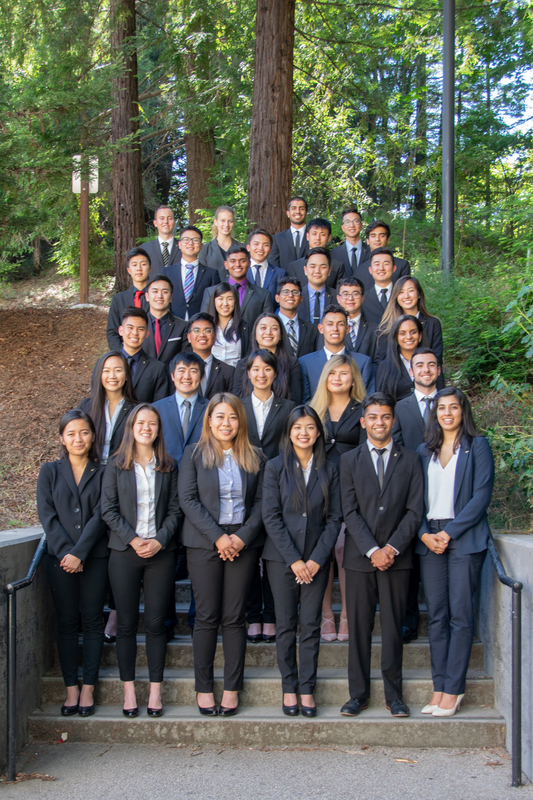 SANTA CRUZ (June 2, 2018) — The Chi Gamma Chapter installed at the University of California, Santa Cruz on Saturday, June 2, 2018, with 33 initiates. Stephanie Van Dellen served as the Chief Installation Officer along with an installation team of 14 volunteers and a member of the Heritage Center Staff. 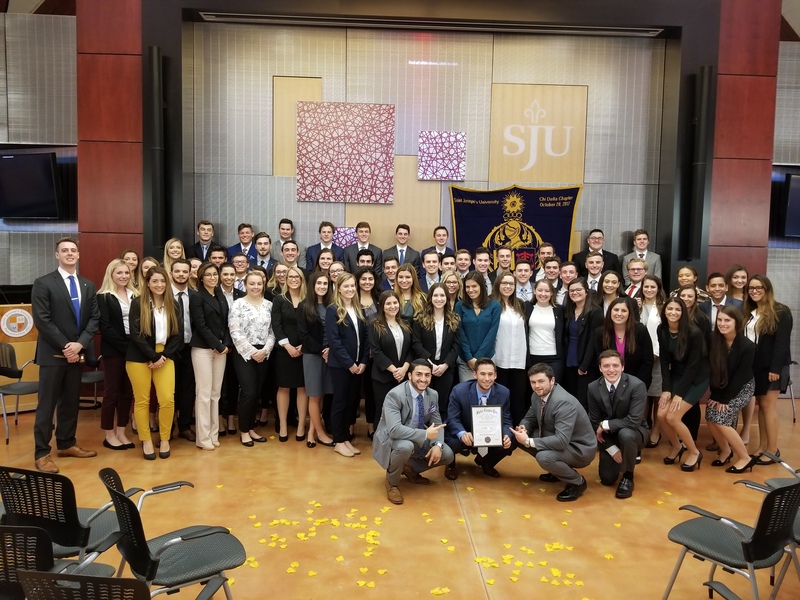 On Saturday, October 28, 2017, the colony at Saint Joseph’s University in Philadelphia, PA installed as the Chi Delta chapter of Alpha Kappa Psi. Chi Delta’s journey began over a year ago when two sophomores, Tim Brandt and Sam Zimmerman, expressed interest in starting a chapter of Alpha Kappa Psi Fraternity. The two students saw the need for a friendly, inclusive, and diverse business fraternity on their campus. The duo set out to recruit members who shared the same vision. A total of 90 individuals were colonized in February 2017 with 83 now slated for their official charter. With the help of the Fraternity Ritual Team, Garden State Alumni chapter, Eta Psi chapter, and Chi Omicron chapter alumni, 65 colonists were initiated on Saturday, and the remaining colonists are scheduled to initiate between November 2017 and May 2018. Fraternity President Mike Dickerson cited this installation as one of the largest installations he’s been a part of during his time as a volunteer. The Chi Delta chapter’s next steps include recruiting a younger pledge class in the spring to carry on the chapter, attending President’s Academy, Officer Training and PBLI, and networking with nearby chapters in Philadelphia. Colonizing in November and installing as a chapter in April is no small task, but with passionate leadership from Awais Qazi, the Chi Zeta Chapter at the New Jersey Institute of Technology (NJIT) did just that. Awais led the colony as president from their beginning and saw them through to installation. Awais graduated from NJIT on May 16 with a B.S. in Business and was selected as the gonfalon carrier for the Martin Tuchman School of Management (see image below) for commencement.  Now an alumnus, he is excited to see how the chapter will grow and how he can give back to Alpha Kappa Psi. 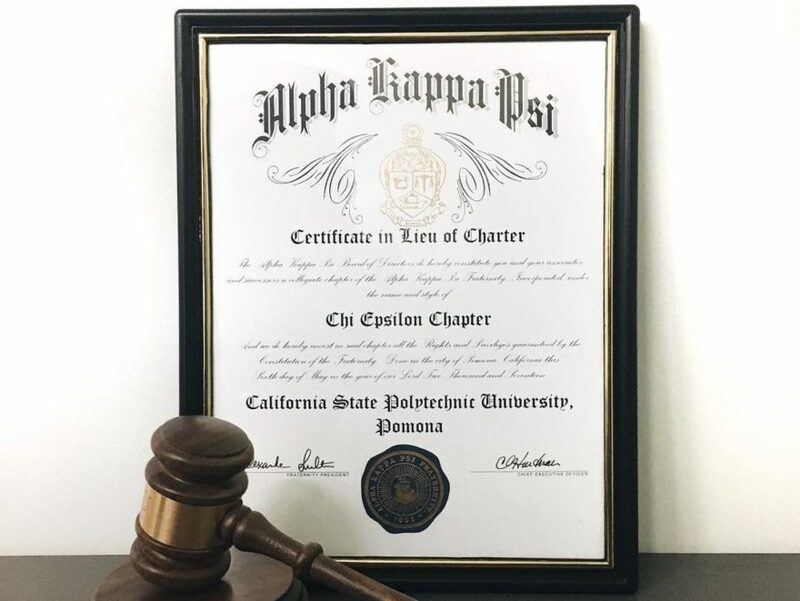 On May 6, the colony at California State Polytechnic University, Pomona installed as the Chi Epsilon Chapter with 35 newly initiated members; six additional students are to be initiated at a later date by the chapter.